Mr. Sergio Farache is a Systems Engineer with an specialization Banking & Finances; he has more than 20 years of experience in the technology sector, with expertise in the commercial areas, marketing and management. During his career he has covered diverse geographies within Latin America and Caribean, in the areas of Consultancy, BPO, Computer Science Outsourcing, Unified Communication and Network Convergence. 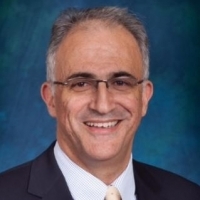 In his new role with Avnet, Mr. Farache is responsible for the current Avnet Technologies Solution operations and has overall responsibility for the LAC region and The Cloud Solutions Group in Avnet Technologies Solutions Americas. He was on charge for the integration between Tallard Technologies, Inc, Bell Micro LAC and the existing Avnet TS operation in México. Mr. Farache was President, CEO Tallard Technologies Inc (TTI) where he was in charge of Operations, Finance, Sales, Marketing, and the Strategic Planning of the company and its subsidiaries. Since his arrival at the end of the 2003 he had substantially contributed to Tallard’s go to market strategy and its value distribution model. Prior to joining Tallard, which provided IT distribution and value added services to over 30 countries in the LAC, Mr. Farache lead an investment group that created the OpenCrom Technology Group, a systems integration, outsourcing and BPO business. With offices in Venezuela and Chile, this group expanded throughout Latin America in 1997 and Mr. Farache held a variety of leadership roles including, commercial director and executive vice president in charge of the Venezuelan operations. He was also a member of their board and oversaw the company’s finances and strategic planning. Mr. Farache’s has also held teaching positions at the Metropolitan University and the ‘Instituto de Estudios Superiores de Administración IESA’ in Caracas Venezuela, and he served on the ethics committee of the Venezuelan Chamber of Computer Science. The function of the IoT Community, is to focus on the adoption & application of IoT in commercial environments, seeking to understand & contribute to applying the technology or overcoming the wide variety of barriers, inhibitors, and technical & operational issues. As a member of the board, Sergio will provide impartial input and guidance to the overall vision, strategy and execution that is helping to shape the current and future direction for the IoT Community, as well as the broader IoT industry.